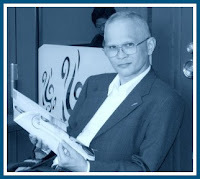 I graduated from Ngo Quyen High School in Vietnam in 1971, and subsequently went to Japan to further study electronic engineering hoping to bring back to Vietnam modern technologies from Japan to contribute to the development of the country. I had a dream. Whilst I was at high school I had a classmate, a girl, who eventually became my first love. The first letter I wrote to her was in 1968; both of us were only sixteen years old then. What I did not realise then that we both set a long journey, a journey that goes through the war, separation, despair, hope, and perseverance. I intended to return to Vietnam after five years in Japan, which would have been 1978. In April 1975 the long war finally ended...but it did not end with us. Communications between Vietnam and Japan was terminated and almost difficult to get a letter from or send a letter to Vietnam then. I dropped out of school, went to work for the sake of survival. 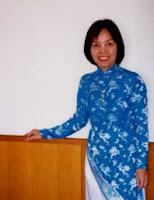 The girl whom I wrote the first love letter was mobilised by the new government to teach English and French at high schools as most of the foreign language teachers were either left the country or just changed occupations to adapt to the new environment. Naturally the political climate at that time made the Russian language the most favourite second language choice for students, whilst English and French were considered the least language of choice. We both did not hear from each other since then. I personally thought that I rather forgot her because it seemed to be a “mission impossible” considering the circumstances surrounding us. I stuck in Japan. Many years passed without a word from each other. I went back to school, obtained my degree, and worked for several financial institutions. The Vietnamese government eventually opened the country in 1990s and overseas Vietnamese were allowed to return to visit the country for the first time. I returned home in 1998 after 25 years. Everything was changed and I felt that I was a Martian in my own country. Knowing she was still teaching at a local high school, I went directly to her classroom where she was teaching, on the very first day. Standing in front of the blackboard, here she was, in the traditional costume ‘Ao Dai’, teaching English. Russian language had already been gone for a long time, and English has now been a compulsory subject for high school education. Thirty years has been elapsed and she did not changed so much, at least to me,. She starred at me not recognised who I was. The whole class felt into silence in the presence of an unknown guest. Then she busted into tears and we held each other in our arms after thirty years. The whole class stood up and gave us a clapping. Then the whole school stopped teaching and congratulated us for a lastly reunion. We were married in that year. I wrote my first love letter at 16 years old, and we were married at 46 years old. Exactly 30 years has passed. What I have learnt from this event in my life is that if you always think and rethink of something you deeply wish for, someday that wish will naturally be happened. Do not easily give up and never too late. We returned to Vietnam every year since. One dayI visited a nearby temple and had a talk with a Buddhist monk about love and life. I remember he told me "What will come will come. Do not try to reverse the course of history, history of life, history of the country, and history of the world. What would belong to you will finally belong to you, what would not will not. Let the course of your life go in its natural way..." I have been educated in western culture and one thing I had been taught was "Decide what you want in life and go for it." 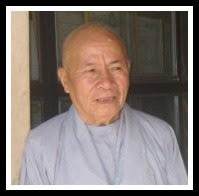 The monk enlightened me "Let the course of life go in its natural way." I really do not understand what he actually meant. However, reflecting about my life clearly revealed to me that the more I made attempts to alter the course of my life, the stickier I was effectively cohered in a web and no way to get it out. It seems to me that I have been a leaf in the river to this day. I let myself to be a leaf in the river for the rest of my life...The river of life. Lovely story with a perfect ending. I had heard, followed up your love a long time ago. I admire your love. Time could destroy , erase, change everything but time consolidates, and makes your love stronger and stronger. enjoy loving till at the end of the end of your life. Why you don't share your love story on tu1tu4. finally belong to you, what would not will not. Let the course of your life go in its natural way..."
>Cảnh 2 người gặp gỡ sau mấy chục năm làm Trang muốn khóc. Comments của H.C, tác giả của Chuyện "Ngày Đó. Bây Giờ"
Thích nhất là cái triết lý sống ở đoạn cuối. Sao mà lại viết bằng tiếng Anh ? Ok.Viết tiếng Việt cho chuyện hai người Việt thì hay biết mấy bạn Ẩn G ơi! Tại hạ xin lãnh giáo. Tại cũng như huynh là "Tui yêu tiếng nưóc tui từ khi mói ra đời", nhưng ngặt vì cái bài nầy nguyên thuỷ là nó đưọc viết cho cái trưòng học tại hạ mài đũng quần tren đó bốn năm, thành ra nó đưọc viết bằng tiếng 'đế quốc'. Thôi thì để tại hạ viết lại bằng tiếng 'An Nam' cuả ta cho dể hiểu. Lúc còn hoc ở lớp Tú 4, có thằng vô lớp không biết bưã nay mình sẽ học cái môn gì ( tứ 4 hoc giỏi như vây đó: xách cặp đi hoc mà không biết mình học cái gì, dân chơi mà) bèn la lớn " bưã nay học cái môn gì vậy tụi bây?" , thằng khác trả lời " hai giờ đầu 'thực dân' , hai giờ sau ' đế quốc' thì tụi tui biết là hai giờ đầu là Pháp Văn, còn hai giờ sau là Anh Văn. Ok Cảm ơn bạn Ẩn phải viết lại bài bằng tiếng 'Mẹ đẻ'Lớp của bạn là đầu tàu 'quậy' cho các khóa sau. Trong đó có lớp tứ 4 đi sau của bọn mình.Nhớ nhiều những ngày ấy! Trang Nghệ Thuật mới thêm vô.